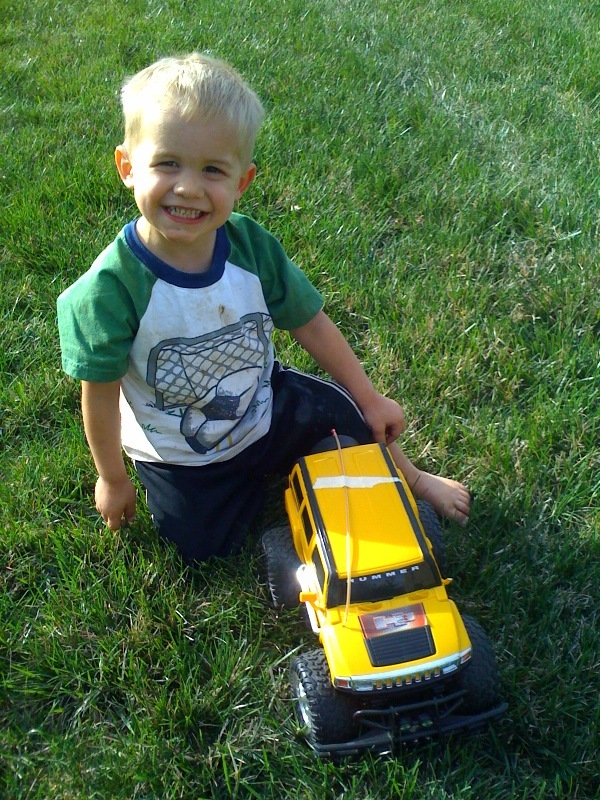 This is Tolan, my son, with a remote control Hummer. Just 2 weeks ago we were playing my parent’s yard in KY with this car. Even though the batteries had died, he insisted on pushing it around the yard. It was pure heaven for me. Just check out that smile!